STROKE: Remember The 1st Three Letters.... S.T.R. STROKE IDENTIFICATION: The opinion of mostNeurologists is that if they can get to a stroke victim within 3 hours they can totally reverse the effects of a stroke... totally . The trick was getting a stroke recognized, diagnosed, and then getting the patient medically cared for within 3 hours, which is tough. 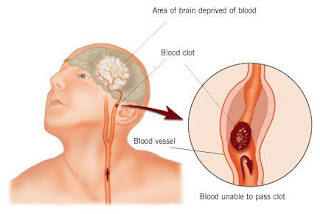 RECOGNIZING A STROKE: Thank God for the sense to remember the "3" steps, STR . Read and Learn! Sometimes symptoms of a stroke are difficult to identify. Unfortunately, the lack of awareness spells disaster. The stroke victim may suffer severe brain damage when people nearby fail to recognize the symptoms of a stroke . R * Ask him or her to RAISE BOTH ARMS. If he or she has trouble with ANY ONE of these tasks, call 999/911 immediatelyand describe the symptoms to the dispatcher. Another 'sign' of a stroke is this: Ask the person to 'stick' out their tongue. If the tongue is 'crooked', if it goes to one side or the other , that is also an indication of a stroke.